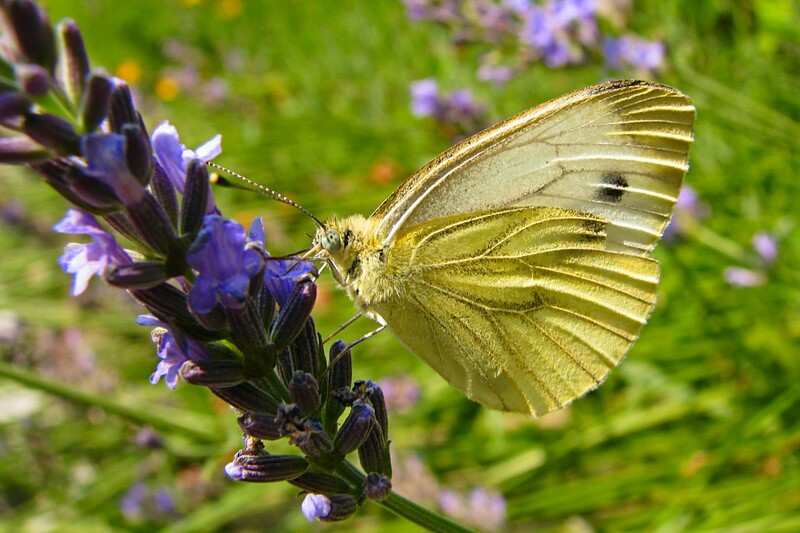 The first Butterfly I’ve been able to photograph in ages – I met this one this afternoon on some lavender blossoms outside and it actually sat down and posed for a moment. It’s a Pieris brassicae, also known as a Large White, Cabbage White or Kohlweißling. This one looks a little yellow, probably because I cranked up the colour saturation a little and it sat in direct sunlight.